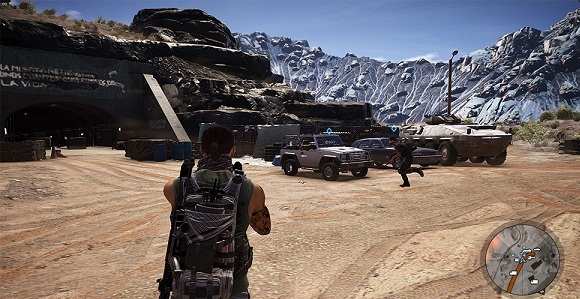 The Ghost Recon Wildlands brings a huge map with different story and side missions, in which you must kill your opponents. In the fight against the Santa Blanca drug cartel, situations arise in which your opponent can see you from afar, because they are on a tower.In this situation, it is necessary to use a sniper riffle to shoot down enemies at a distance. The MSR is one of the best sniper rifles that you can find at the beginning of the game. - Open your map and mark the Montuyoc region. Now set a waypoint all the way to the west of the region. - Then take a car (or a helicopter) and go to this waypoint. If your route leads to an opposing camp, take a short detour through fields or meadows. - Remember that the vehicles in GRW have no problems with high mountains. - In the west, you will find the Araca farm. - To the south of this village you’ll find the Choza Padre Mine, to which you must move. 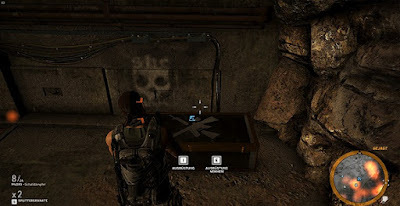 - Get closer to this mine because there are several enemies, including snipers waiting for you. - After you have done with the opponents, go to the mine. - Now begins the difficult part. - In the mine you should kill the enemies individually and safely with headshots (silencers). - You take the first path that leads to the left and then follow this path. - In the tunnel you will encounter patrol guards; you have to kill them quietly. - If you follow the path, you will come to an enclosed area. - There you will find the military crate with the MSR. With a few modifications you can design this rifle according to your taste and have a powerful sniper rifle at the beginning of the game.